Often, there are stigmas associated with big babies. The mom has diabetes, is severely overweight, or didn’t eat healthy during her pregnancy. Sometimes, this is true. Other times, the big-baby anomaly simply can’t be explained. Regardless of reasons for their weight, these babies were born tipping the scales, often to the surprise of their parents and nurses. Tiarla Elekana was born in Australia in July 2011. At just under 15 pounds, she is one of the biggest babies ever born in the Kangaroo country. She was so big, in fact, that Tiarla’s mom’s doctor joked as he handed her the new baby, “Congratulations. You’ve just had a toddler.” The mom, who could not help but to laugh, could not believe her eyes when she first saw her giant baby girl. She was overjoyed to become a mom and thrilled that the large baby was safe and sound and finally out of her body. Surprisingly, Tiarla was 2 weeks early. One can only imagine how much more she might have weighed at birth had she been given the whole 40 weeks to continue growing. Though the first baby, 13.2 pound-Ziad Kadic, on this list may seem small when compared to some of the eye-watering, larger than life babies listed below, birthing a 13.2-pound baby is definitely not the norm. The doctors at Joondalup Health Campus, did not realize how large baby Ziad was until his mother, Breanna Sykes, went into labor late one Saturday. She revealed later that the doctors warned her not to push, for fear of breaking her pelvis. While labor can always be a little frightening, the mom says she was truly scared. She ended up needing an emergency C-section and both mom and baby fared well after. Doctors from all over the entire hospital stopped by to check out the big hearty baby boy. 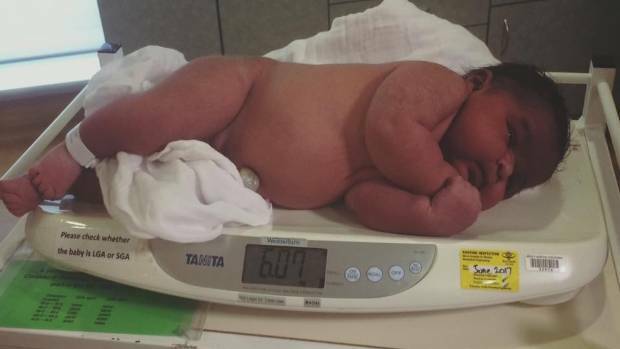 This California dream, Sammisano Joshua Talai Otuhiva, born in August 2014, is the largest baby ever born in the Golden state. The doctors and nurses all attempted to guess his weight before he was born and ended up guessing wrong, with their estimates between 10-14 pounds. They were surprised, to say the least, when they saw the 16.1-pound baby, who was around the size of an average 6-month old at his birth. The hospital did not even have large enough diapers to fit him and none of the baby clothes the parents had been given fit him either. This adorable giant baby boy made his parents, mom, Sosefina Tagalu and dad, Pavasio Otuhiva very proud. They could not wait to claim the state’s record for biggest baby born. Most twins are on the smaller scale of birth weights, since two babies are taking up housing in mom’s body. 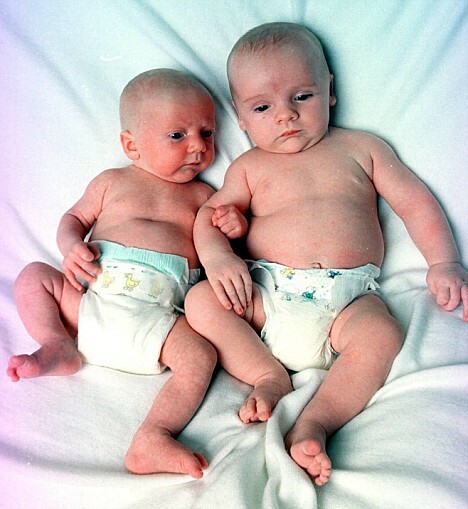 The average set of twins weighs around eleven pounds, or about five and a half pounds each. Twins are also considered full term from 37 weeks on. But, this set of twins, whose weight totaled just over 23 pounds are a completely different story. 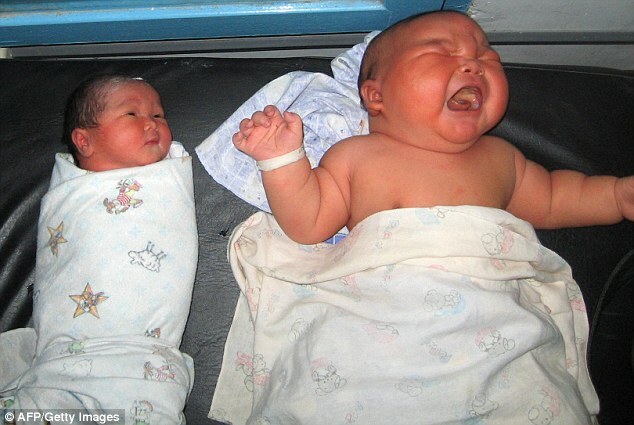 Baby boy Sean weighed almost 11 pounds, and his sister Abigail weighed just over 12 pounds. The babies were born via C-section, but neither of them nor their mother had any complications during or after the birth. The twins, delivered 2 minutes apart, were said to be in excellent condition. Believe it or not, as big as these two were at birth, hospital researchers confirm there was an even bigger pair of twins born in Arkansas almost a century ago in 1927, totaling 27 pounds and 12 ounces. As a complete surprise to his parents, baby George weighed 15 pounds, 7 ounces at birth. Little “Big” George was full of surprises even before birth, this big fella was an unplanned pregnancy to his parents both 21 years old at the time. No one knew the baby would be so large, the mom, Jade, was barely over 6 pounds when she was born. Their doctor had not given any indication that he would be so big and, in fact, he kept up his normal-size-baby charade through labor – until he became stuck in mom’s birth canal because he was so large. It took at least 20 medical personnel to help remove him. Jade planned for an all-natural water birth with little to no medical intervention. She watched a documentary a few weeks before birth and even scoffed at the women making such a fuss. 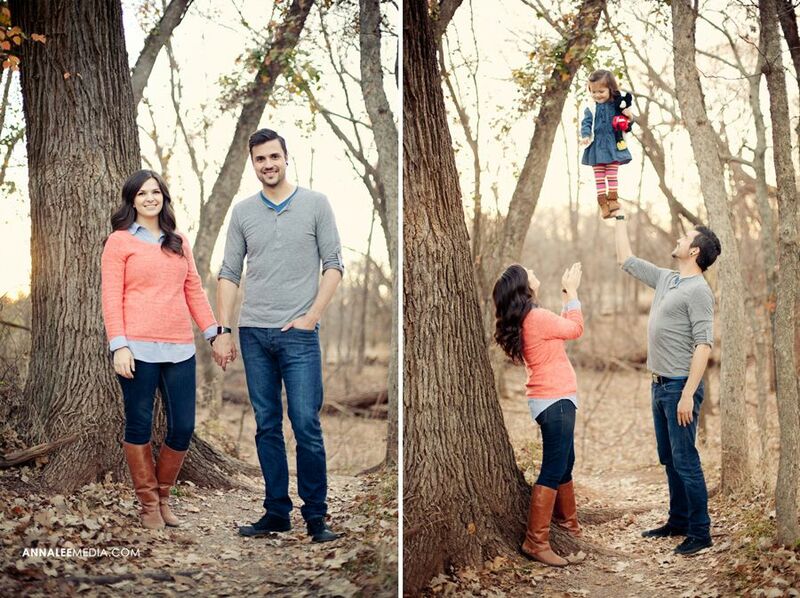 Little did she know what was growing in her womb! She ended up needing a late epidural after George and his large head could not pass though the birth canal. But, imagine giving birth to a 12 pound baby. Or, how about a 19 pound baby? It can – and has – happened, as the following stories will prove. All over the world, healthy, tiny moms are still giving birth to huge babies the size of 6-12 month olds. In May 2016, doctors were shocked when a teenage mom from India birthed a 15-lb. baby girl, who they believe is the heaviest baby girl ever to be born in India. The “miracle” baby who was still not named at the time of the reporting, was deemed as a gift from God by the local doctors. The 19-year-old mom, Nandini, had no known health issues, nor was she obese. They ended up keeping the big baby girl in the neonatal unit of the hospital for a little further testing to ensure everything was in perfect working order. Fortunately, the baby girl’s health checks all came back clean, and she has had no health issues since leaving the hospital. 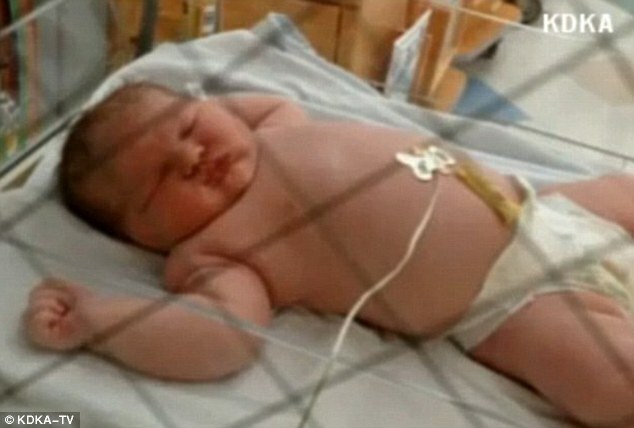 The last largest baby born in India, that lost the title to this un-named beauty, was 14.77 pounds. 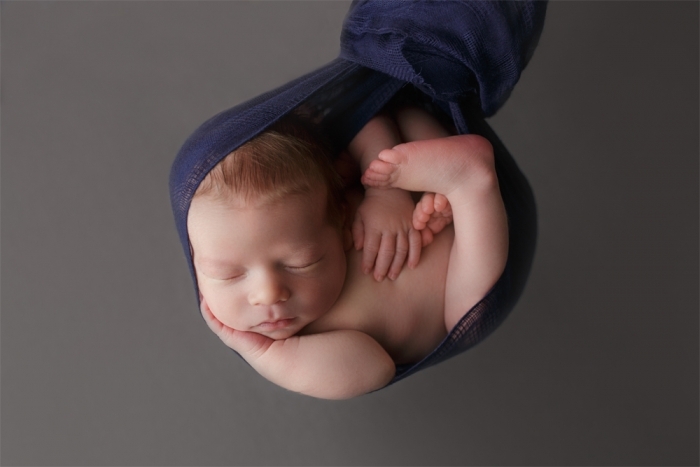 The normal weight range for a newborn is between 5.5 and 10 pounds, with the average newborn weight right at 7.5 pounds. If you’ve had more than one child, you probably have seen quite a difference even in your own babies’ weights when they were born. It’s nothing unusual; most women have babies of varying weights since no two pregnancies are the same. 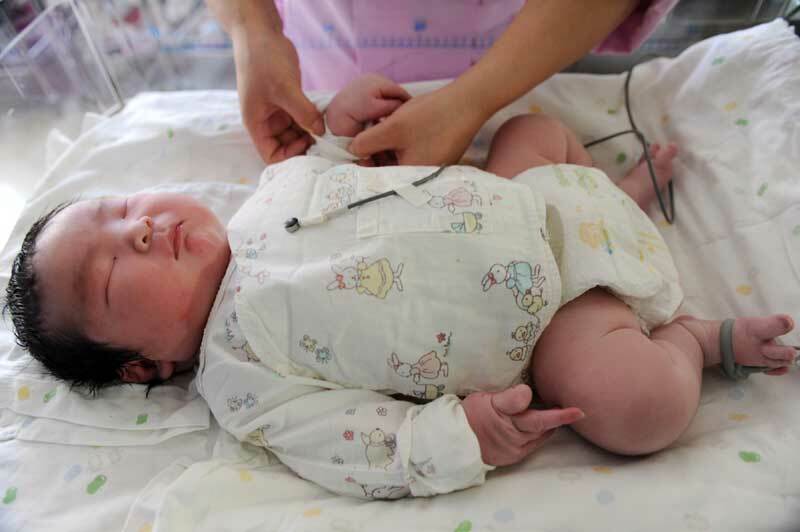 In 2012, Chun Chun, the heaviest baby ever born in China was delivered via C-section. His 29-year-old mother, Wang Yujuan, was not overweight, nor did she have any health issues like diabetes, but she had a feeling her son would be a bit larger than her first judging by her pregnant belly size. At just over 15 and a half pounds, she was absolutely right. Her daughter, six years older than her big baby brother was only 8 pounds at the time she was born. The happy dad told local news outlets that his wife didn’t eat or drink anything out of the ordinary but that they were just blessed with a fat, happy, boy. The father was also incredibly excited that his son was born just after the start of the Chinese New Year, the year of the dragon. Marie Michel’s 5th child, a baby boy named Stephon Hendrix Louis-Jean, was also her largest at almost 15 pounds. The previously-held newborn weight record at the same hospital was held for 18 years, but was crushed by Michel’s son by almost 2 pounds. Michel says that she wasn’t surprised at his weight, since none of her other 4 children weighed under 8 and a half pounds. This big baby boy broke the record held for 18 years at the hospital by 1 pound and 13 ounces. The mom, Marie, said she was miserable by the end of the pregnancy. She couldn’t get any sleep and her oldest son had to help her get in and out of the bed. The doctor, David Kalla, who delivered the big boy by cesarean section said the stocky young thing was “built like a linebacker.” No wonder his mother had such a tough time. Most people will say they have heard that everything is bigger in Texas. Baby boy, JaMichael keeps the motto alive and is reportedly the biggest baby ever born in the Friendship state, at a whopping 16 pounds! His parents expected a big baby, since JaMichael’s mother’s doctor estimated him at about 12 pounds two weeks before he was even born. Dr. Kirk, however was truly surprised along with the parents when they found out his birth weight at 16 pounds, which is what an average 6-month-old weighs. Michael Brown beamed with pride as he spoke of his large baby boy, the biggest baby ever born at the Good Shepard Hospital in Longview, Texas. “They call him moose.” He laughed and joked to the news crew. In November 2015, this almost-15-pound baby was born in India, making him one of the country’s largest babies to date. The baby’s mom, 36-year-old Firdausi Khatun, previously had 8 children, whose newborn weight averaged about 8 pounds. Miraculously, mom was only in labor for 15 minutes with this big guy! All of the other children born to Firdous were born at home but not this meaty man. The father decided to rush the mother to the hospital after realizing this birth seemed to be going a little different than the others. Not even a full half hour after they arrived at the hospital this big guy was delivered. Both mom and baby were said by hospital staff to be in good health upon being discharged. ThePremium grants you UNLIMITED AD FREE ACCESS accross our full Network! Born on August 29, 2009, Luciana is not only the biggest baby girl ever born in Romania, she is the biggest baby to ever be born there period! She was so big, in fact, that her mother, 39-year-old Livia Rodica Muntianu, believed her doctor had gotten everything wrong and that she couldn’t possibly be having anything less than twins or maybe even triplets. Instead, she was shocked when she found that her baby girl, delivered via cesarean section, was almost around the size of two average-sized newborns, weighing in at a hearty 15 pounds. Luciana was the tenth child born to the happy parents in Romania. She outweighed and outsized all her other nine siblings at birth by a mile. The big baby girl and her mother left the hospital with a clean bill of health just days after the delivery. 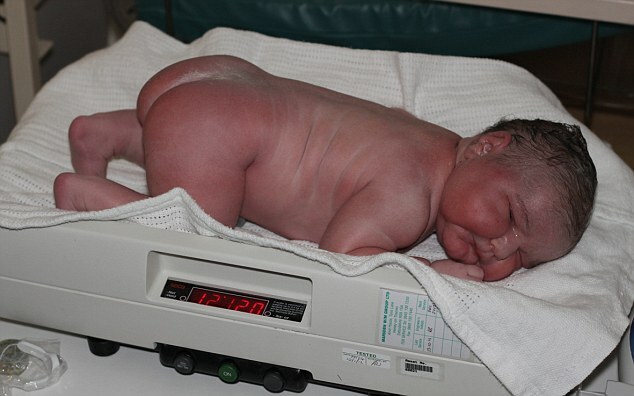 Jasleen from Germany is the biggest baby born vaginally, the country has ever seen, weighing in at 13.4 pounds. Before she was born the title for heaviest baby belonging to a “little” big one named Jihad, born November of 2011. Born on July 26, 2013, doctors found out that Jasleen’s mother had gestational diabetes, which wasn’t caught during her pregnancy. They believe that this was one of the factors that led to Jasleen’s high birth weight. 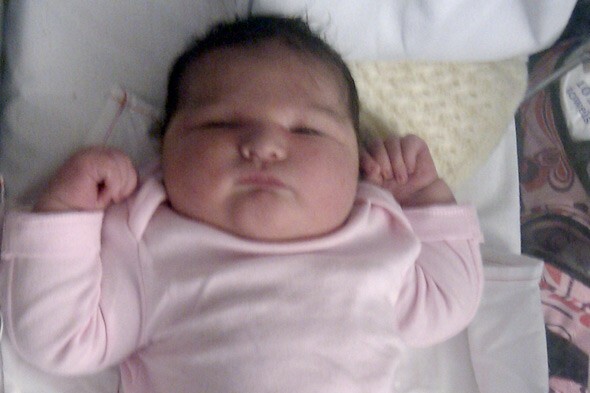 Born at the University Hospital in Leipzig, this big beautiful baby girl was born measuring 22.6 inches long. Jasleen was kept in the hospital a little longer to monitor her health, but it has since been reported that mom and baby are now at home and doing just fine. On September 26, 2007, a Siberian woman named Tatyana Khalina gave birth to her 12th child, this big baby girl also happened to be her largest. When Nadia Khalina joined her 8 sisters and 3 brothers she was the biggest of the bunch by far at birth. The baby girl weighed 17.1 lbs. and, when placed next to her older siblings, looked almost the same size as some of the youngest ones. Laying in the maternity ward she is almost twice the size of the of the other babies born around the same time, she is the pride and joy of her family and the city of Barnaul. The city celebrated her birth and the record she broke for largest baby born on record in Siberia with her weight and size at birth. 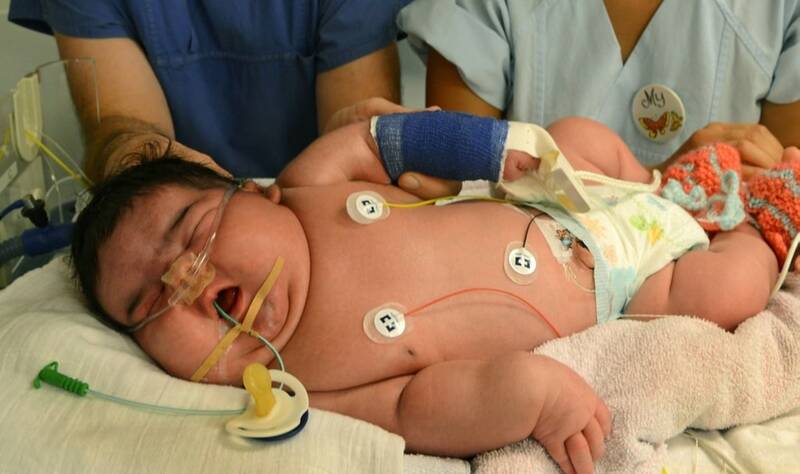 At 17 pounds, this giant baby boy is by far the heaviest on record to ever be born in Brazil. His mother, Fransisca Ramos dos Santos, suffered from diabetes and the baby boy was her 5th child, which doctors believe contributed to his enormous newborn weight. The large baby boy, named Ademliton dos Santos, had to receive oxygen treatments due to problems with breathing and he was given glucose to help level his blood sugar. The doctors on staff at the hospital stated that other than those minor complications that the baby was in very good health. The local news in Cajaziras says that the father and Ademilton’s four siblings were very surprised when they learned of the new addition’s huge size. 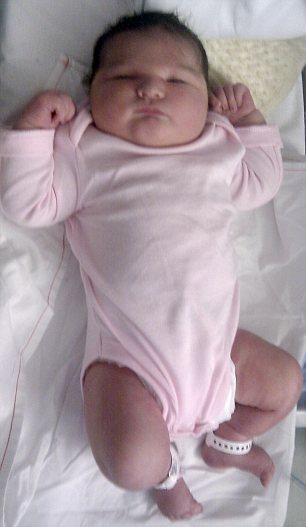 On September 21, 2009, the world was greeted with one of the biggest babies born to date, weighing in at 19.2 lbs. The baby boy weighed as much as most average one-year-olds. Rumors of Indonesia’s heaviest baby ever born flooded the streets and drew out some major crowds curious to see the almost 24-inch-long baby boy. Akbar Risuddin was born after a 40-minute cesarean delivery, that was obviously complicated due to the tremendous weight and size of the baby. Ani, a diabetic and the mother of one of the largest babies ever recorded was pleased with her giant delivery. The mom’s biggest worries were about whether she would be able to afford to feed the big boy, because he would need more milk than other babies. Akbar, not surprisingly, means big in Indonesian.